Return to Zero (2014) – What's New on Netflix Canada Today! A couple navigate their way through a pregnancy filled with doubt, grief and trepidation. 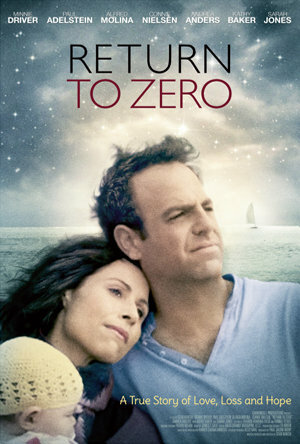 RETURN TO ZERO is based on the true story of a successful couple preparing for the arrival of their first child. Just weeks before their due date they discover that their son has died in the womb and will be stillborn. Lives and relationship forever altered by the loss, they try to cope through denial, escape, alcohol and an affair, but nothing can save their marriage. And that’s when they discover that they’re again pregnant (from a last ditch ‘save the marriage’ getaway to Las Vegas), and must come together to face a turbulent and terrifying pregnancy.